More Malaysians are buying big ticket items online, said Ipay88, the online payment solution. It has also found that the online shopping in Malaysia is at the verge of a turning point that will dramatically change the country’s e-commerce scene. Executive director of Ipay88 Chan Kok Long said there are two key disruptive driver trends that support higher user confidence – namely the technological and behavioural aspects. Chan said new solution innovations that make funds immediately available include real-time personal banking or overdraft application, and direct conversion of token or reward points – which increases consumers’ online purchasing power. Meanwhile – the behavioural aspect points to the online shopping patterns towards higher value items such as automobile, property and professional services. Banking on the importance of technology, iPay88 itself is currently working with selected partner banks to approve personal loans for online purchase. “We are emulating what Alibaba has been doing since mid-2015, to offer their customers financial loans based on their online shopping history,” Chan said. For example, Chan said eMerchants which is provider of payment solutions in Australia, the United Kingdom and Europe – are starting to offer trial session opportunities for higher value products in effort to lock-in more online orders of greater value. “Tesla (cars) are now being purchased online. Most car buyers only visit the dealership after they already know which vehicle they desire – the exact speci-fications, how much deposit they need to pay, or simply to test drive the vehicle. This simply makes it easier for eMerchants offering ready loans to quickly lock-in sale of high value products,” Chan added. Ipay88 systems has recorded that users in Malaysia have started to pay booking fee and downpayment for purchase of vehicles and properties via online channel. Over the same period in 2015, the volume of payment for automobile and property related transactions have increased by 53% and 39% respectively in 2016. 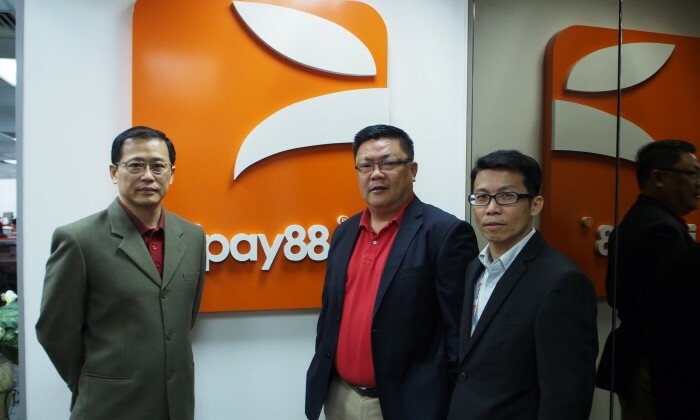 Ipay88 said it currently represents close to 70% of the country’s entire e-Merchant online payment system. About 36% of the total online transactions processed by iPay88 are from credit card payments while 64% transactions are settled via online banking. iPay88 said between the both, the fraud rate recorded is higher at 87% for online banking compared to 13% for credit card. “Use online shopping services and brands that are trusted, and also make more effort to learn more about the types and ways of how online scams happen. Meanwhile e-Merchants should invest in mechanisms that can counter fraud effectively to retain the trust in your online brand and e-Store. Focus on the finding the right balance between fraud prevention techniques (so that they are not too rigid to negatively affect your customers’ shopping experience), while still being able to convert online visits to your website into sales,” he added.